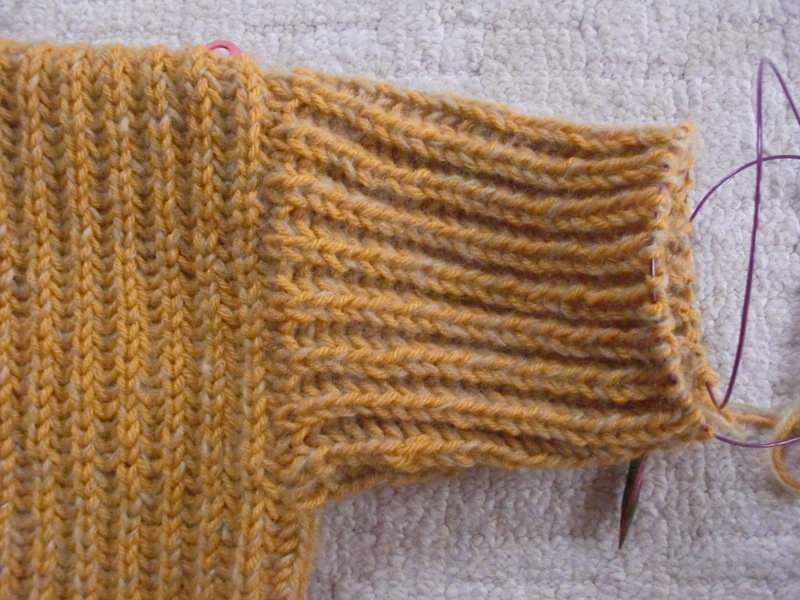 Just when you think you are nearly done knitting a cardigan, you hit the sleeves. I say that as if I have knitted many a cardigan before, but to be honest this is the first time that I have knitted a cardigan for myself. I had knitted the body and to be honest really thought that I was on the home stretch! I seem to have been mistaken. A week on from my last post about this cardigan and I’m not sure I’m even half way down the first sleeve. 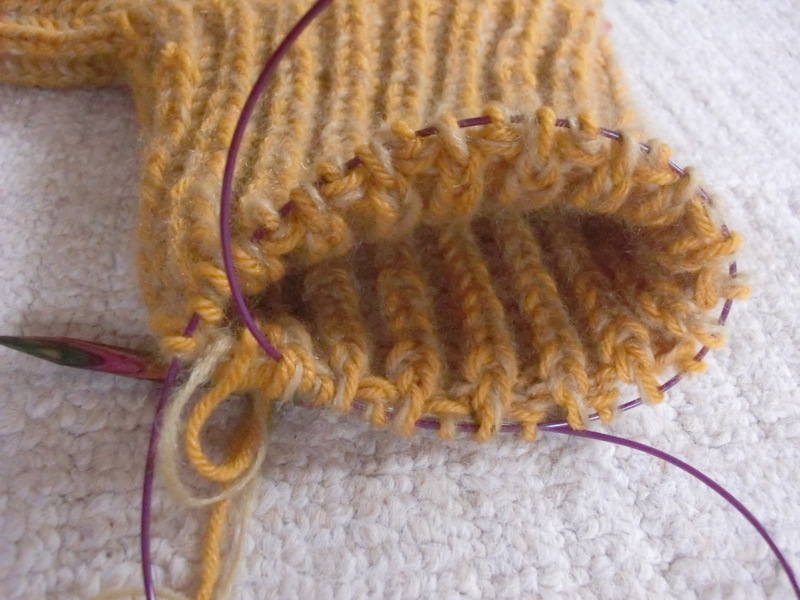 I am knitting the sleeve in the round and am using the magic loop method. Whilst this is supposedly a simple method to use, it feels like there is too much cable in the way. I tried on a shorter cable and there just didn’t seem to be enough. I am pining for some double pointed needles. Feels like a bit of an extravagance to buy them just for the sleeves, so I shall be patient and just get on with it! Shannon at luvinthemommyhood, who is hosting this knit along also seems to be at a similar point to me. Good luck Shannon and everyone else out there knitting sleeves! 20 rows last night, get me!! Two circular needles you say? I assume you need four needle tips for that? I shall go and have a look on YouTube…..